Before yesterday evening, I had never sat on a serious sledge before. 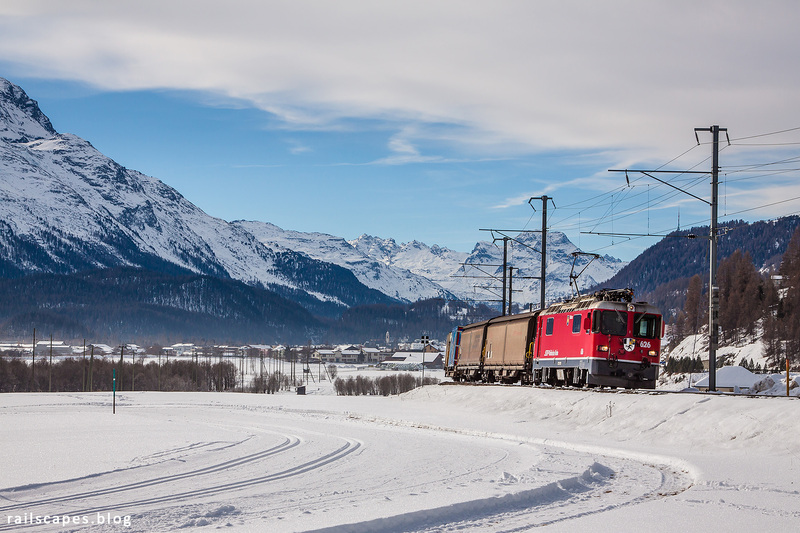 Down in Bergün we had decided to first do the hard track, considering the elevator was about to shut down for the night. After that, we could ride the easier, and lit, track, with the Schlittelzug as many times as we wanted. Not so sure this was a good decision: in one of the curves of the hard track I lost control of the sledge and smashed into a panel protecting people from falling off the hill. I didn’t fall off, but seriously hurt my back and sitting area. In pain I managed to get down to Bergün… The cold numbing the pain, we still went up the hill with the Schlittelzug to slide off the easy track a couple of times, until closing time. Getting better at it, I enjoyed, but had to stop in the end because of the pain. The day after, I felt something was wrong. I couldn’t sit anymore, or move my back without it hurting. Can’t do much about a back though, and I could still walk, so we decided to continue the photo trip – I would go see a doctor back home. We went to Bever, on the busy section to Samedan. 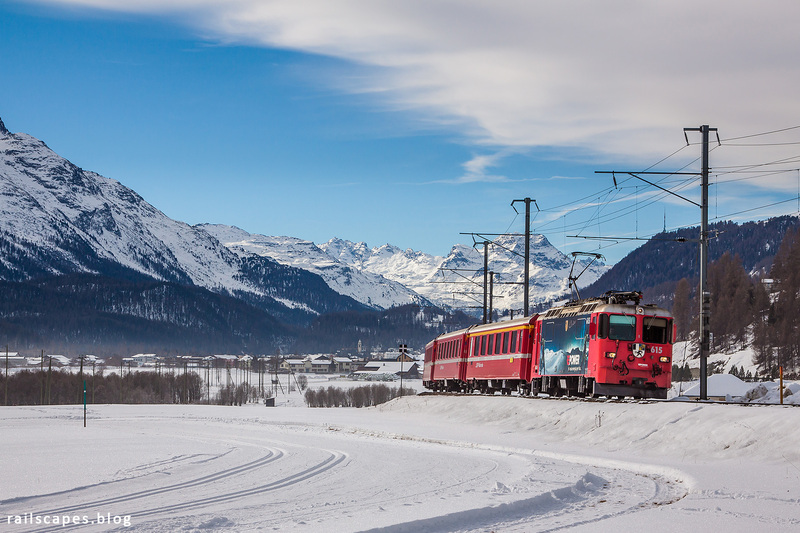 This stretch of line sees the hourly Chur – St. Moritz, Landquart – St. Moritz and Scuol-Tarasp – Pontresina relations, and a few freight trains. Soon it will be double-tracked.